A shirt with an evil cat. A phone case with a galloping donut. A tote bag with a star-surfing astronaut. Whatever your thing, you can get art you love on super well made products. Personal, original, and high quality? It’s a win-win-win. 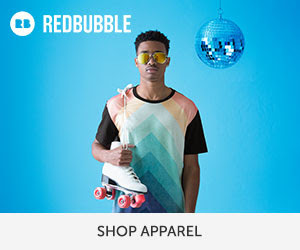 Now you can win again as a Redbubble affiliate now available on She Is Media. Preview the Redbubble lander here. Get paid 8% of sales for each sale made through your affiliate links. © She Is Media LLC. All rights reserved.